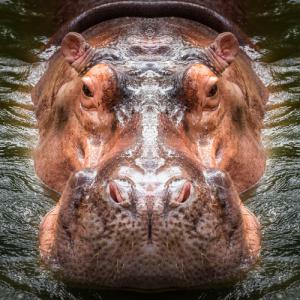 There is a video that has been making the rounds of an angry hippo chasing a safari boat on a river in Botswana. Its enormous mouth snaps just out of reach of the people in the boat. You see, hippos are territorial and the boat had ventured too close to its happy home, thus provoking the attack. Hippos are often portrayed as cute, pudgy awkward animals in cartoons, but in reality they are highly aggressive and quite agile. They move particularly fast in water, despite weighing around 6K pounds and even on land they can run at 14mph - about as fast as an average human can sprint for a few yards. Given these odds, we won't be challenging any hippos to a footrace. At this moment, there are new rules regarding the calculation of ALLL charging towards us like an angry hippo. We bring this up because unprepared banks may find themselves staring into the open mouth of regulatory difficulties. For most bankers, given the impact to earnings and performance, calculation of the allowance for loan and lease losses is allocated significant time and effort. There is extensive analysis, reporting and documentation required and during the financial crisis, inadequacies were at times enough to bring down a bank. Most banks have upgraded their process since the crisis, but now there is a new set of rules coming fast with the FASB current expected loss model (CECL). For now, the CECL rules are still being finalized, but it is estimated that many banks will need to increase their allowance in the end. This comes at an interesting time in that many banks are being encouraged by external auditors to reduce allowance levels based the decline of credit problems in portfolios over the last few years. Regulators on the other hand, generally want reserves kept high and this is at least in part due to the expectation that CECL will require a larger allowance. At a base level, CECL differs from past calculation processes in that it looks at the value at risk over the life of the loan. The new calculation also considers normal and scheduled principal reductions, additional principal reductions (like prepayments) and the present value of future loss expectations. This forward look also takes into consideration economic factors like interest rates and the duration of economic cycles. That is a huge change against the old "standard" of 1.50% in the good old days. The current economic expansion measured by GDP growth is moving towards the longer end of a typical expansionary cycle. This has regulators concerned that a downturn may not be too far in the future, if history is used as a guide. If credit problems arise at the same time CECL calculations require a larger allowance, many banks would find it difficult to fill the hole. There are things a bank can do to prepare for CECL, especially in terms of gathering better data. Start by considering expanding homogenous loan classifications and understanding that call report classifications may not suffice. Methodologies should include grade migration to charge-off and default. If possible, data from the last economic downturn should also be included. In addition to a more forward-looking method of calculation, regulators want to see model validation, even if the bank is using an internal model. Many banks in the end may find that their current ALLL process is not robust enough for CECL, so they may have to rethink things from the ground up. By updating current processes, adding new granularity and gathering more data now in preparation for the new rules, you should manage to keep the angry hippos away from your bank. Treasury yields shot up 16bps by the close as payrolls came in much stronger than the market had anticipated. Yields are down 3bps this morning in reaction to Greek leadership's rejection of the international bailout plan. 1) Sunshine Bank ($223mm, FL) will acquire Community Southern Bank ($246mm, FL) for about $31mm in cash or roughly 1.4x tangible book. 2) Premier Bank ($141mm, NE) will acquire Farmers Bank and Trust Co. ($51mm, NE) for an undisclosed sum. 3) The bank controlled by the The Auto Club Insurance Association, Auto Club Trust, FSB ($75mm, MI), has called off a proposed acquisition of American Midwest Bank ($469mm, IL) after it reportedly became obvious regulators were not going to approve the transaction. 4) The insurance subsidiary of Eastern Bank ($8.8B, MA) will acquire independent insurance agency James J. Sullivan Insurance Agency for an undisclosed sum. 5) Pinnacle Bank ($5.9B, TN) will acquire a 30% stake in online doctor and dentist lender Bankers Healthcare Group for about $75mm. Wells Fargo will pay $2mm in fines to the NY State Department of Financial Services and about $2.2mm in restitution to borrowers that made credit card purchase secured by interest on their homes from 2006 to 2014. US Bank will pay $18mm to settle a lawsuit alleging it reportedly allowed the founder of financial firm Peregrine to use customer funds for his own purposes. Fed Cleveland President Mester said she supports raising rates in the first half of this year if incoming economic information supports it. Fed Boston President Rosengren said a higher US dollar isn't likely to derail the economy. Wells Fargo announced a new program that will allow customers to redeem credit card rewards at any of its ATMs across the country. The Commerce Department reported annualized Q4 GDP was 2.6% vs. 3.1% expected. For the year, the economy grew at a 2.4% pace vs. 2.2% in 2013. HR firm Challenger, Gray & Christmas reports that the number of planned layoffs by US companies jumped to a 2Y high in the month of January, boosted by a surge in cuts by oil industry businesses.